Mid Bloomer. 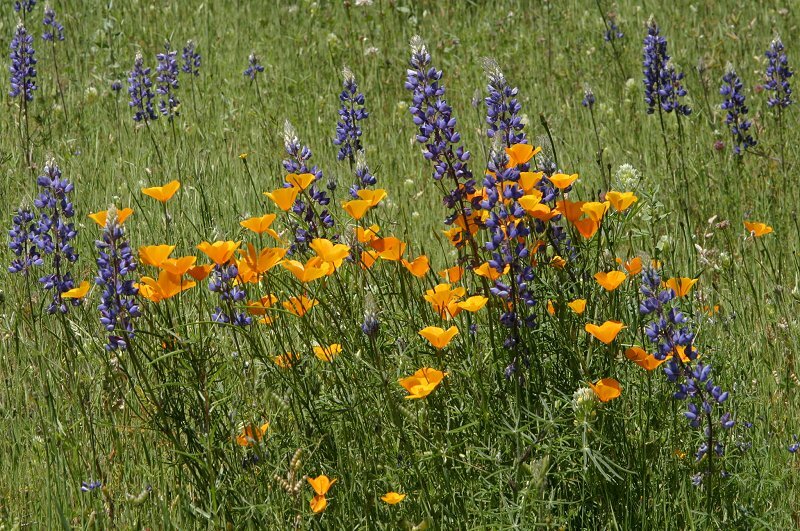 Stems 8" to 28” tall, bright blue flowers, leaflets very narrow, flowers sometimes whorled. 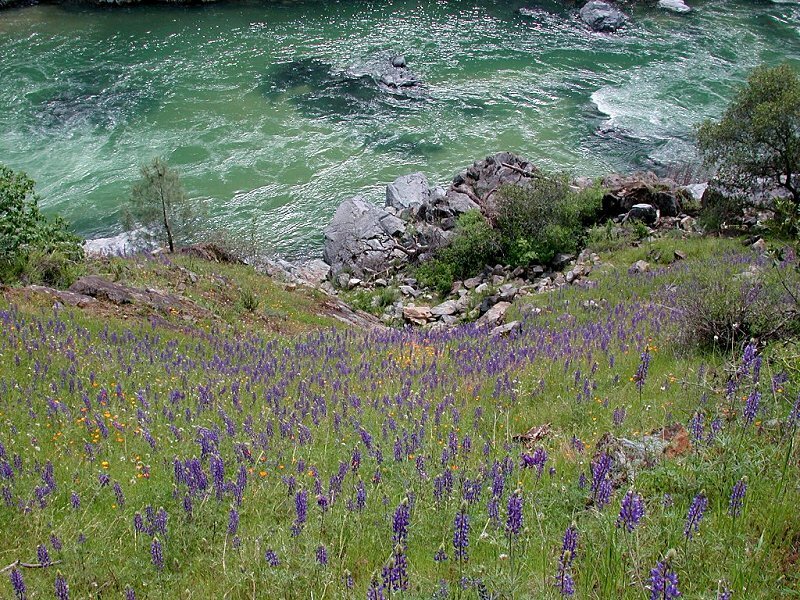 Also called Spider Lupine. Notes: Pea family. 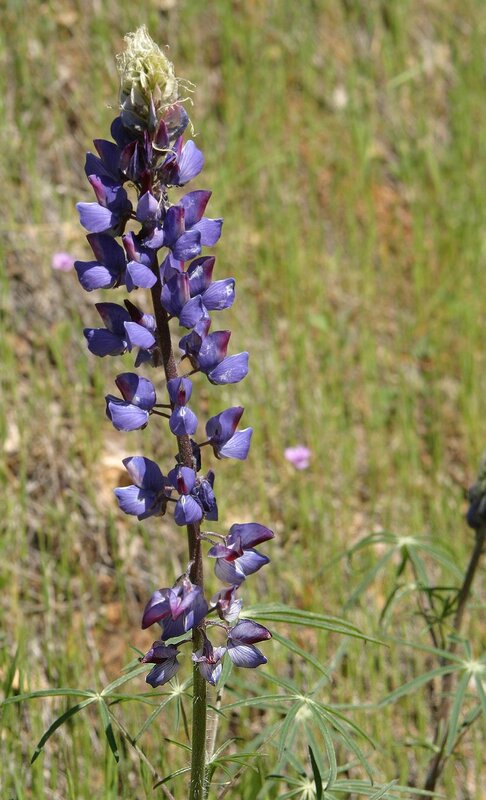 The Narrow-leaved Lupine has the typical blue flower with the white banner splotch that reddens with age, but its leaves are unique: the silvery leaflets resemble a spider’s legs, are long, widely separated and very narrow: hence: Spider Lupine. Stems and sepals have conspicuous scattered long hairs. George Bentham was a 19th century English botanist. 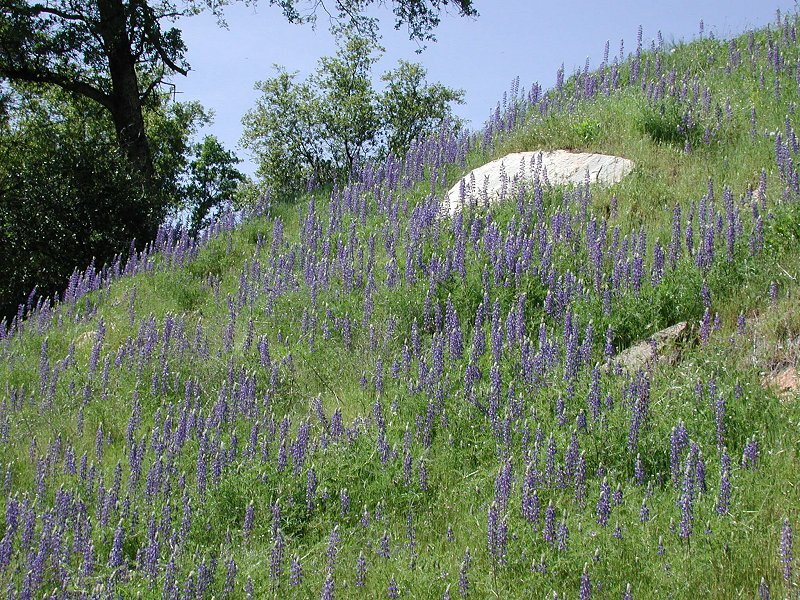 There are many species in the lupine genus; the USDA lists 165 Species and 342 accepted taxa overall.